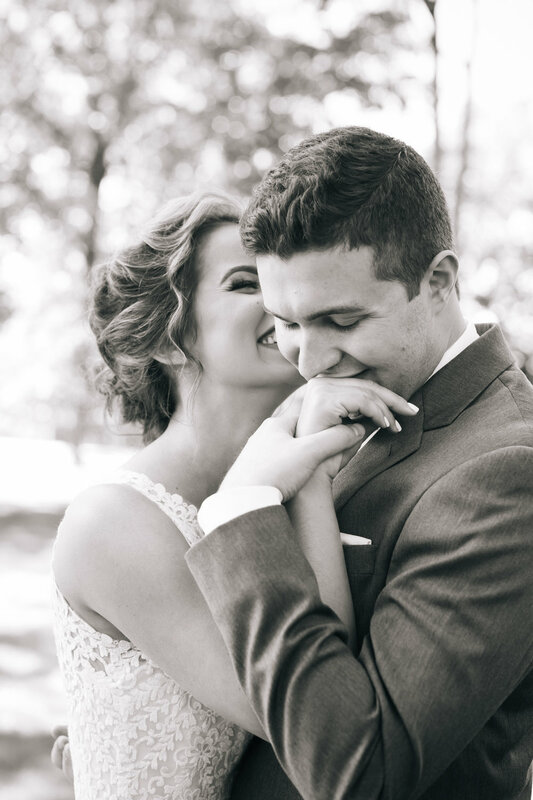 Jordan and Zach met at the University of St. Thomas in St. Paul, and decided to have their ceremony at the very place their love story began. We began shooting their wedding portraits by hiking to the cliffs overlooking the Mississippi, Jordie being the most daring bride we've worked with yet, tromping through mud without a sweat. After the ceremony, we went back to the legendary The University Club of St. Paul, where blushing pink and white florals filled the reception room, golden light spilling in from the age-old windows. Zach and Jordie where glowing, as they shared their excitement to be married with all of their guests in the most sweet way one could imagine.